(b) Buyer shall pay all related expenses in advance. Buyer should allow four to six weeks for shipping from the date of the auction. The following Terms and Conditions of Sale are the Santa Fe Art Auction Limited Co.’s (“Santa Fe Art Auction”) and its agents’ and consignors’ entire agreement with the prospective bidders, bidders and buyers relative to the lots listed in this sale. The lots will be offered by the Santa Fe Art Auction as agent for the consignors, unless otherwise stated. 1. The Santa Fe Art Auction assumes no risk, liability or responsibility beyond the limited warranty contained herein. (a) Except as set forth in paragraph 1(b) below, all lots are sold “AS IS.” There are no representations or warranties that extend beyond these Terms and Conditions of Sale. All lots shall be available for examination prior to the sale. The Santa Fe Art Auction and its agents and consignors make no representations or warranties as to merchantability, fitness for a particular purpose, correctness of the catalog information or descriptions of lots, including, but not limited to, the physical condition, size, quality, rarity, importance, medium, provenance, dates, exhibitions, literary or historical relevance of any lot and no statement anywhere, whether oral or written, whether made in the digital catalog, an advertisement, a bill of sale, a salesroom posting or announcement, or elsewhere, shall be deemed such a warranty, representation or assumption of liability. There are no representations and warranties, express or implied, as to whether the Buyer acquires any copyrights, including, but not limited to, any reproduction rights in any lot. Contents of this digital catalog are subject to change or supplementation before or during the sale, including the sale of any lot. (b) The authenticity of the authorship attributed to the lots as described in this sale is guaranteed only to the limited extent as stated in this paragraph 1(b). (i) The authorship attributed to a lot includes name of the artist and any reservations therewith stated, as, for example, “attributed to,” “in the school of” or “appears to have been signed by.” The Santa Fe Art Auction makes no warranties whatsoever, express or implied, with respect to any material in the sale other than the authorship attributed to the lots. (ii) This guarantee is further limited as follows: The benefits of this guarantee are not assignable and shall be available only to the Buyer of record; this guarantee shall remain in force and be effective only if notice of rescission is given to the Santa Fe Art Auction within three (3) years following the date of sale, provided the lot is tendered to the Santa Fe Art Auction in Santa Fe, New Mexico, in the same condition as the lot was found at the time of sale; and that the rescission of a sale and the refund of the total purchase price paid (i.e., the successful bid price, plus the buyer’s premium and applicable tax) is exclusive and in lieu of any other remedy which might otherwise be available, and that the Santa Fe Art Auction and its consignors shall not be liable to the Buyer for any incidental, consequential, special, compensatory or punitive damages. (iii) In remitting payment hereunder, Buyer agrees and acknowledges that the absolute limit of Santa Fe Art Auction’s, its agents’ or consignors’ liability and responsibility shall not exceed the total purchase price. 2. Prospective bidders should inspect the lots before bidding to determine condition, size and whether or not the lot has been repaired or restored and to investigate all other matters relating to the lot that is of material importance to the prospective bidder. 3. A buyer’s premium will be added to the successful bid price and is payable by the Buyer as part of the total purchase price.The buyer’s premium is 25% of any successful bid price under $500,000. If paying by cash or check, the buyer’s premium is 22% of any successful bid price under $500,000. 4. Unless exempted by law, the Buyer will be required to pay all applicable state and local sales, gross receipts, and compensation tax. Proof of exemption in the form of a current Non-Taxable Transaction Certificate must be provided at registration. In the event of deliveries outside the state, it is the Purchaser’s responsibility to pay any applicable compensating use tax of another state on the total purchase price. If a buyer requests that artwork be shipped to an address in New York State, we must collect New York sales tax due to an affiliated business located in New York City under recent legislation (Part P-1 of Chapter 57 of the Laws of 2009). Why SFAA Collects Sales Tax: New Mexico requires a seller of goods to register with the New Mexico Department of Taxation and Revenue and collect and remit sales tax if the seller maintains a presence within the state. More specifically, tax laws require an auction house, like Santa Fe Art Auction, with a presence in New Mexico, to register as a sales tax collector, and remit sales tax collected to the state. Unless exempted, New Mexico sales tax is charged on the hammer price, buyer’s premium and any other applicable charges on any property picked up or delivered in New Mexico, regardless of the state or country in which the purchaser resides or does business. Certain Exemptions: New Mexico allows for specified exemptions to its sales tax. For example, a registered re-seller such as a registered art dealer may purchase without incurring a tax liability, and Santa Fe Art Auction is not required to collect sales tax from such re-seller. As sales tax laws vary from state to state, Santa Fe Art Auction recommends that clients with questions regarding the application of sales or use taxes to property purchased at auction seek tax advice from their local tax advisors. 5. The Santa Fe Art Auction reserves the right to withdraw any lot before or during the sale and shall have no liability whatsoever for such withdrawal. 6. Except as may be announced by the auctioneer, all bids are per lot, as numbered in the online catalog. 7. The Santa Fe Art Auction reserves the right to reject any bid. The highest bidder acknowledged by the auction will be the Buyer, subject to reserves. In the event of any dispute between bidders, or in the event of doubt as to the validity of any bid, Santa Fe Art Auction will have the final discretion to determine the successful bidder, cancel the sale, or reoffer and resell the lot in dispute. If any dispute arises after the sale, the Santa Fe Art Auction’s sale record shall be final and conclusive. The Santa Fe Art Auction, in its discretion, may execute orders or absentee bids as a convenience to clients who are not present for the live online auction; however, the Santa Fe Art Auction is not responsible for any errors or omissions in connection therewith. 8. If Santa Fe Art Auction, in its discretion, determines that any bid is below the reserve of the lot, he or she may reject the same and withdraw the lot from sale, and if, having acknowledged an opening or other bid, the auctioneer decides that any advance thereafter is insufficient, he or she may reject the advance. 9. At the end of the bidding period, the highest bidder acknowledged by Santa Fe Art Auction assumes full risk and responsibility for the offered lot, subject to all of the Terms and Conditions of Sale set forth herein, and is immediately obligated to pay the full purchase price. All sales are final and there shall be no exchanges or returns. Payment shall be made by cash, check, Paypal, or wire transfer. As set forth in paragraph 3, above, for an additional percentage Santa Fe Art Auction will also accept credit cards as a form of payment. (Visa and MasterCard only). In addition to other remedies available to Santa Fe Art Auction by law, we reserve the right to impose, from the date of sale, a late charge of 1.5% per month (18% per annum) of the total purchase price, if payment is not made in accordance with the conditions set forth herein. (a) All lots must be removed by the Buyer at his or her expense not later than ten (10) business days following the sale, and, if it is not so removed, (i) a handling charge of 1% of the total purchase price per month, or a portion thereof from the tenth day after the sale (until its removal) will be payable to us by the Buyer, with a minimum of 5% of the total purchase price due for any lot not so removed within 60 days after the sale, and (ii) Santa Fe Art Auction may send the purchased lot to a public warehouse for the account of and at the risk and expense of the Buyer. (b) If any applicable conditions herein are not complied with by the Buyer, the Buyer will be in default, and in addition to any and all other remedies available to the Santa Fe Art Auction and its agents and consignors by law, including, without limitation, the right to hold the Buyer liable for the total purchase price, together with all fees, charges and expenses set forth in these Terms and Conditions of Sale, the Santa Fe Art Auction, at its sole option, may (i) cancel the sale of that, or any other lot or lots sold to the defaulting Buyer, or (ii) resell the purchased lot or lots, whether at auction or by private sale, or (iii) effect any combination thereof. The Buyer will be liable for any deficiency, any and all costs, handling charges, late charges, expenses and commissions of both sales, legal fees and expenses, collection fees and incidental damages. The Santa Fe Art Auction and its agents and consignors shall have all of the rights accorded to a secured party under the New Mexico Uniform Commercial Code. 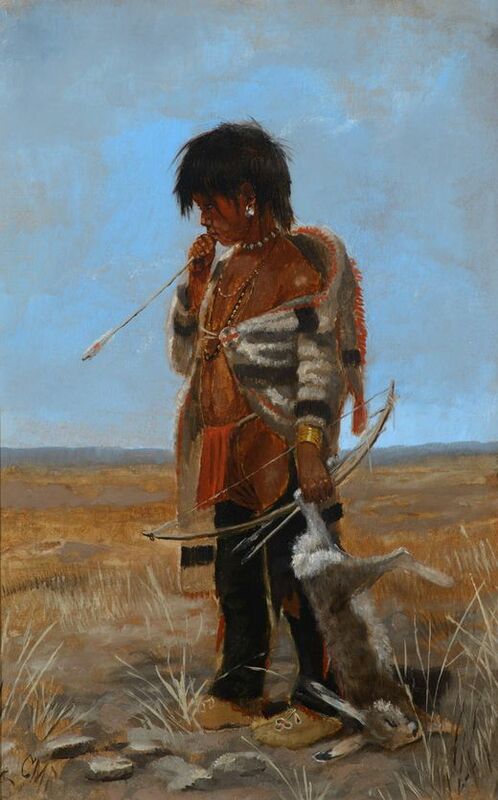 The Buyer of each lot agrees that each lot is unique and that Santa Fe Art Auction, in its sole discretion, shall not be required to sell or otherwise seek to mitigate damages should such Buyer fail to pay the total purchase price. Payment will not be deemed to have been made in full until the Santa Fe Art Auction shall have collected good funds. The Santa Fe Art Auction reserves the right to hold all purchases pending collection of the total purchase price, together with all additional fees, charges and expenses incurred pursuant to these Terms and Conditions of Sale. 10. Some lots in the sale are subject to a reserve, which is the confidential minimum price acceptable to the consignor. The Santa Fe Art Auction, or its agents or consignors, may implement such reserve by opening the bidding or they or either of them may bid up to the amount of the reserve by placing successive or consecutive bids for a lot or may bid in response to other bidders. In instances where the Santa Fe Art Auction has an interest in the lot, it may bid up to the reserve to protect such interest. The Santa Fe Art Auction, or its agents or consignors, may also bid upon other lots listed in this online catalog. 11. Santa Fe Art Auction is the owner of images of each lot offered for sale and may use such images for its own archival purposes, as well as for advertising and publicity in connection with this or future sales by the Santa Fe Art Auction. 12. These Terms and Conditions of Sale, together with the parties’ respective rights and obligations hereunder, shall be governed and construed and enforced in accordance with the laws of the State of New Mexico, without regard to New Mexico’s rules concerning conflicts of laws. 13. Prospective bidders, bidders and Buyers agree that, in the event of any controversy or claim arising out of or relating to a sale of any lot, the party asserting such controversy or claim shall provide written notice thereof to the other party; that any such controversy or claim not settled within fourteen (14) days of delivery of notice by the other party, including, without limitation, any controversy or claim arising from, or relating to, the sale of any lot or any of these Terms and Conditions of Sale, including the terms of this paragraph, the sole and exclusive means for resolving the dispute shall be by binding arbitration in Santa Fe, New Mexico. Said arbitration shall be confidential and shall be pursuant to the New Mexico Uniform Arbitration Act, shall be conducted before a single arbitrator, and shall otherwise be guided by the then extant New Mexico Rules of Arbitration. This Agreement is deemed made in Santa Fe, New Mexico, and is subject to the internal substantive law of the State of New Mexico without regard to conflicts of laws. The award of the arbitrator shall be final, and may be entered into any court having jurisdiction thereof. Each party shall bear that party’s own costs of arbitration and attorney’s fees. 15. Results are posted on the online platform web site and, upon request, may be sent to Buyers, catalog subscribers, absentee and phone bidders, and other registered bidders. 16. If any part of these Terms and Conditions is held invalid or unenforceable for any reason, the remaining provisions shall continue to be valid and enforceable to the fullest extent permitted by law. 17. These Terms and Conditions are not assignable by any buyer without the prior written consent of the Santa Fe Art Auction. However, these Terms and Conditions are binding on the buyer’s successors, assigns and representatives. 18. No act, omission or delay by the Santa Fe Art Auction shall be deemed a waiver of its rights and remedies under these Terms and Conditions. 19. The Santa Fe Art Auction shall use reasonable efforts to contact prospective buyers who have made prior arrangements to place telephone bids in order for these buyers to participate in the auction. The Santa Fe Art Auction shall not be liable for its failure to contact said bidders or for any errors or omissions made in connection with telephone bids since telephone bids are offered as a free service that is undertaken subject to the other commitments of Santa Fe Art Auction during the sale. 20. Santa Fe Art Auction shall not be liable for any errors or omissions made in connection with online bids or the online bidding process. Although Santa Fe Art Auction will do everything in its power to assure all online bids are recognized, Santa Fe Art Auction has no way of guaranteeing that the internet and the online bidding process will be free from technical malfunctions. Santa Fe Art Auction will not be responsible for errors or failures to execute bids placed on the internet, including, without limitation, errors or failures caused by (i) a loss of connection on Santa Fe Art Auction’s or on the Buyer’s end, (ii) a breakdown or problems with the online bidding software, and/or (iii) a breakdown or problems with a Buyer’s internet connection, computer or system. Santa Fe Art Auction does not accept liability for failing to execute an online internet bid or for errors or omissions in connection with this activity. The Santa Fe Art Auction is presented in association with Gerald Peters Gallery.